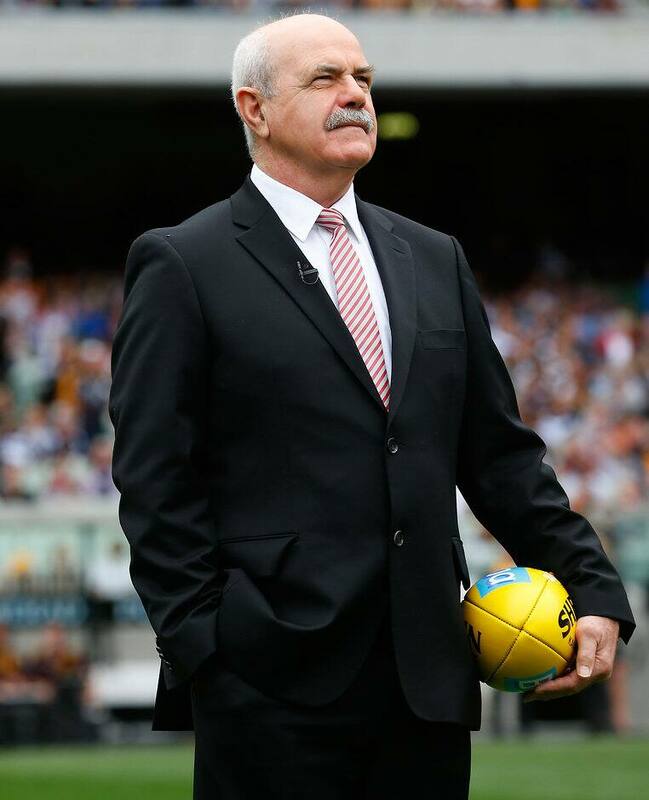 HAWTHORN great and four-time premiership coach Leigh Matthews will present the 2016 Jock McHale Medal to this year's premiership coach, while John Longmire and Shannon Grant will present the John Coleman and Norm Smith medals respectively. AFL chief executive officer Gillon McLachlan announced this year's major award presenters on Wednesday morning at the launch of the 2016 Toyota AFL finals series in Melbourne. McLachlan also took possession of the 2016 premiership cup before naming Sydney Swans premiership player Michael O'Loughlin as the cup's ambassador throughout the finals series. Matthews was one of the inaugural batch of Legends inducted into the Australian Football Hall of Fame in 1996. Widely regarded as one of the greatest players ever after a stellar career at Hawthorn from 1969-85 that included four premierships, he went on to coach Collingwood to the 1990 premiership and the Brisbane Lions to the 2001-03 flags. Sydney Swans coach John Longmire was a prolific spearhead in his playing days with North Melbourne in the 1990s, with his best year coming in 1990 when, at 19, he won the Coleman Medal with 98 goals. Longmire will present the medal to this year's leading goalkicker, West Coast's Josh Kennedy, at the announcement of the All Australian team on Thursday night. Grant won the 1999 Norm Smith Medal for his sharp-shooting four-goal performance in North Melbourne's Grand Final win over Carlton, and will present this year's medal to the player judged best on ground in the Grand Final. McLachlan said he was anticipating an outstanding finals series. "This year's Toyota AFL finals series will see new heroes write their names into history and the Grand Final race shapes as one of the most open contests in years," McLachlan said. "The maiden appearance of the GWS Giants in the finals will be a historic moment for our youngest club, while the great teams of the recent past in Hawthorn, the Sydney Swans and the Geelong Cats are all strongly placed again. "The Adelaide Crows have done a superb job to break into the top four, while West Coast, the Western Bulldogs and early pace-setters North Melbourne have all shown they can beat any side on their day." The premiership cup will be presented to the winning team on Grand Final day by a great of the club, with the presenters to be confirmed during Grand Final week. Meanwhile, the league is reintroducing the Edwin Wilson Shield as a perpetual trophy for the premier. Wilson was the first secretary of the VFL in 1897. The shield hasn't been presented since 1979 because there was no room left to add new badges for the flag winners. The AFL has had the shield enlarged and it will now be presented annually as a perpetual award with the premiership cup. "It will stay in a prominent position at AFL House ... and celebrate a great contribution to our game," McLachlan said. "It'll be a great addition to the chase for premiership glory."